The versatile, weight-optimized Promag L is the preferred choice for all standard applications in the water and wastewater industry. Due to its unique lap-joint flange concept, the flowmeter guarantees flexible, easy and economical installation. Promag L 400 saves time and costs thanks to the broad functionality of its water- and wastewater-optimized transmitter. In addition, Heartbeat Technology ensures compliance and process safety at all times. Fully suitable for standard applications in the water and wastewater industry. Product headline Weight‐optimized sensor with a state‐of‐the‐art transmitter for Water & Wastewater. Fully suitable for standard applications in the water and wastewater industry. Sensor features Reduced installation costs – flexible mounting by one-of-a-kind lap-joint flange concept (DN < 350/14"). 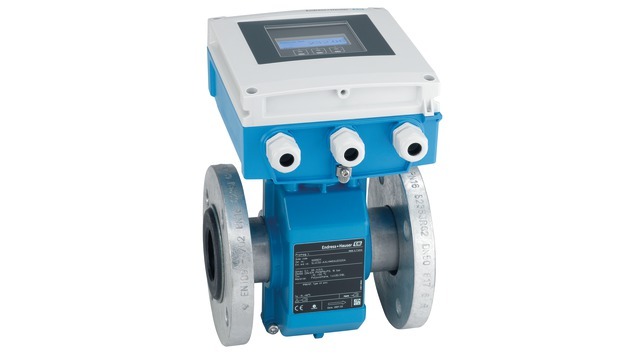 Energy-saving flow measurement – no pressure loss due to cross-section constriction. Maintenance-free – no moving parts. Up to 30 % less sensor weight. Nominal diameter: DN 25 to 2400 (1 to 90"). Transmitter features Safe operation – no need to open the device due to display with touch control, background lighting. Time-saving local operation without additional software and hardware – integrated web server. Integrated verification – Heartbeat Technology. Transmitter housing made of durable polycarbonate or aluminium. WLAN access.